Announced this morning at the Consumer Electronics Show (CES) is the world’s thinnest SSD Mobile drive from Seagate, entitled the Seagate 2TB Backup Plus Ultra Slim. At only 9.6mm, the Seagate 2TB Backup Plus Ultra Slim is over 50% thinner than competing hard drives in the field. While the hard drive is considered the world’s smallest SSD available there is currently no information available on its current read/write speeds or price. The drives are available in two colors, in golden or platinum metal finishes. Images and Press Release below. At just 9.6mm, the Backup Plus Ultra Slim external drive employs Seagate’s latest 2.5-inch HDD technology, making it more than 50 percent thinner than other 2TB drives on the market. Thanks to its low-profile, high-capacity design, users can keep more than 500,000 songs, 320,000 photos or 240 hours of high definition video in their pocket*. Available in gorgeous golden or platinum metal finish, this sleek new product is designed to complement the looks of stylish computers, tablets and phones. 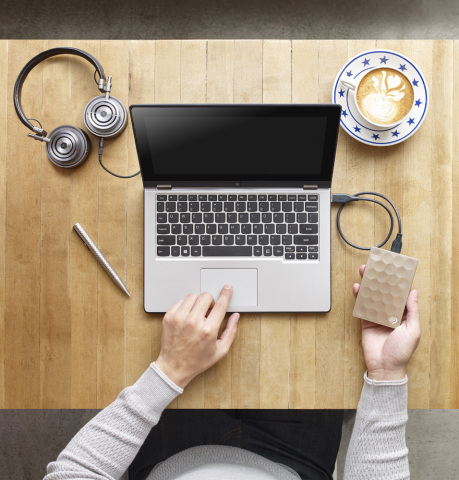 The Backup Plus Slim includes Seagate® Dashboard software, which offers users either one-click on-demand or customizable, scheduled backups for their devices. This allows users to schedule backups for when it’s most convenient. Backup Plus Ultra Slim comes with 200GB of free Microsoft OneDrive cloud storage for two years, which lets users share and access their favorite files anywhere on a mobile device or a PC. The Backup Plus Ultra Slim also includes Lyve software, which helps users to protect precious photos and videos from their digital cameras and smartphones and automatically organizes them into a single unified library accessible from any mobile device or computer. 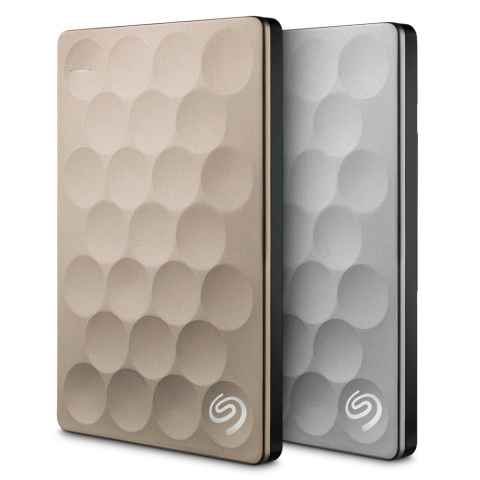 The Seagate Backup Plus Ultra Slim gold and platinum finishes will be available this quarter from Amazon and Seagate.com. Zach Sutton is an educator and photographer based out of Los Angeles, CA. Alongside working as the Features Editor at Resource Magazine, Zach is also the Editor-in-Chief at LensRentals.com and works as an educator and motivator all over the United States.